The Dominican Republic is an island nation in the Caribbean Sea. It shares an island with Haiti. It is mountainous in the west and plains in the east. The Dominican Republic, lacking a unique national focus tree, uses the generic national focus tree instead. The Dominican Republic starts with 2 research slots. The Dominican Republic, in 1936 is a Fascist nation with no elections. The Dominican Republic is guaranteed by the United States via Monroe Doctrine. 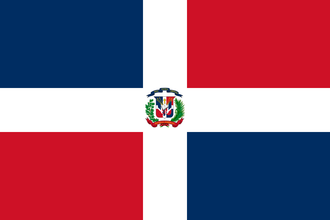 The Dominican Republic has 3 Civilian Factories and 1 Military Factory in the state of Dominican Republic. It may not build any more buildings as there are no more building slots. The Dominican Republic has 1 Chromium. The Dominican Republic has a small military. Have a good strategy for Dominican Republic? This page was last edited on 8 December 2018, at 09:37.